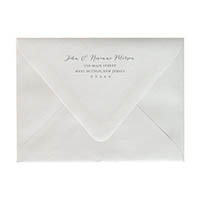 These printed A7 Envelopes are sized at 5 1/4" x 7 1/4" and are perfect to use with all of our A7 sized products (Signature, Retangolo, Vertico, Laser Pockets, 5x7 Invitations etc....) Just select your options and enter your return address. 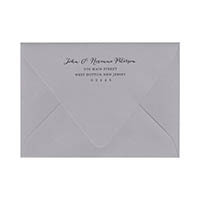 Great for wedding invitations! 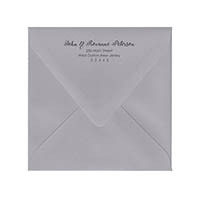 These printed 6 1/2 Square Envelopes are sized at 6 1/2" x 6 1/2" and are perfect to use with all of our 6x6 sized products (Perfetto, 6x6 Petal Folds, 6x6 Gate Cards, Laser Petal Folds, 6x6 Invitations etc....) Just select your options and enter your return address. 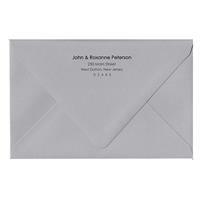 Great for wedding invitations! 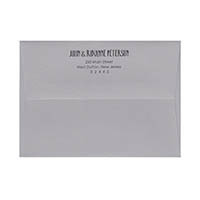 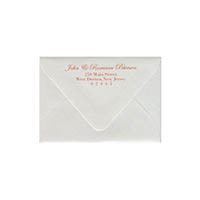 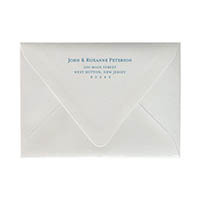 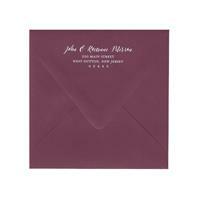 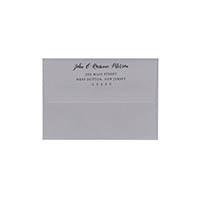 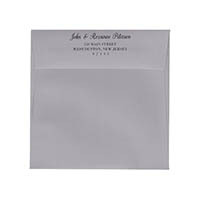 These printed A+ Envelopes are sized at 5 3/4" x 7 3/4" and are perfect to use with all of our A+ sized products (Signature Plus Pockets, Wedding Invitations, etc....) Just select your options and enter your return address. 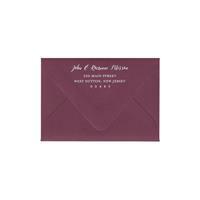 Great for wedding invitations! 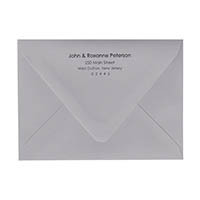 These printed A2 Envelopes are sized at 4 3/8" x 5 3/4" and are perfect to use with all of our A2 sized products (A2 Signature Pockets, A2 PocketFrames, Thank You Cards etc....) Just select your options and enter your return address. 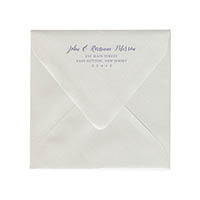 Great for Thank You Cards and Note Cards! 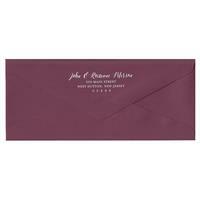 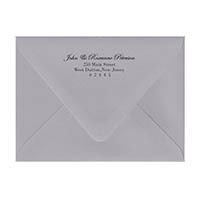 These printed RSVP Envelopes are sized at 3 5/8" x 5 1/8" and are perfect to use with all of our RSVP sized products (RSVP Cards, Thank You Cards, Save the Dates etc....) Just select your options and enter your return address. 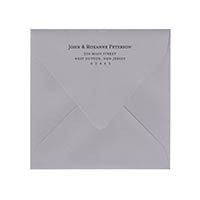 Great for RSVP Cards! 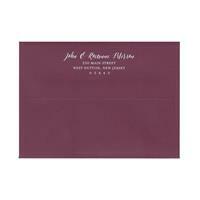 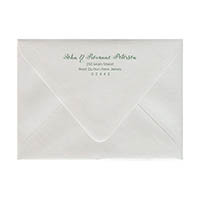 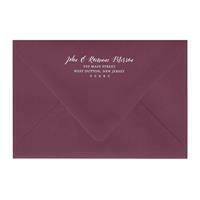 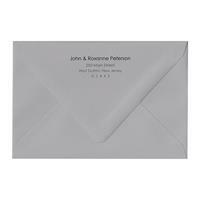 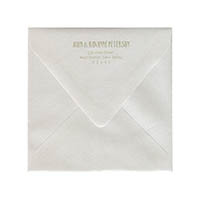 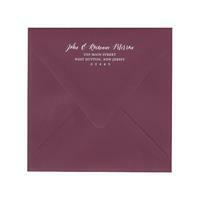 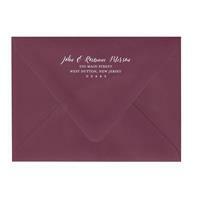 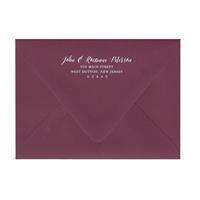 These printed Outer 6.75 Envelopes are sized at 6 3/4" x 6 3/4" and are perfect to use with all of our Inner 6.5 Envelopes. 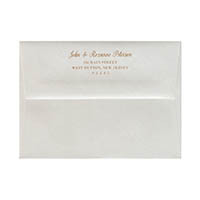 These printed Outer A7.5 Envelopes are sized at 5 1/2" x 7 1/2" and are perfect to use with all of our Inner A7 Envelopes.